by Sidney Wiggins Bondurant M.D. 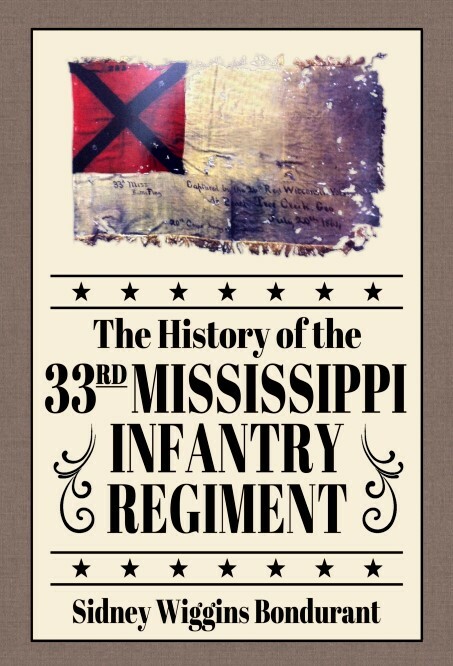 The 33rd Mississippi Infantry Regiment was formed in the spring of 1862 just after the Battle of Shiloh. That battle had shown both sides that the struggle would not be a short one and many more men would be needed to decide the victor in the epic confrontation known as the American Civil War. When the call went out for more men one place in Mississippi that responded was the Laurel Hill community in the southwest corner of Neshoba County. Men from Leake County and Scott County also responded to that call to Laurel Hill and a company was formed at the Cumberland Presbyterian Church. They called their company the Cumberland Guards. The Cumberland Guards then moved to Grenada to the assembly camp and the company became Company A of the newly designated 33rd Regiment, Mississippi Volunteers. The 33rd served in the Western Theater mostly in the Army of Tennessee. It did not play any central or “heroic” role in any one battle like the 11th Mississippi did in Pickett’s Charge at Gettysburg or like the “Bloody Sixth” Mississippi did at Shiloh. It did not produce any men who went on to General rank during the war or on to illustrious political careers after the war. Some of the survivors did go on to successful careers in the professions of law, medicine, and education after the war but most returned to the South and took up their work as farmers and businessmen. Many moved on to other states out West since the war had devastated Mississippi. They were just a small part of the larger enterprise known as the Confederate States of America Army.